Jedna z nejvýznamnějších amerických choreografek a moderních tanečnic dvacátého století, jedna ze zakladatelek současného amerického tance. Zakládající členka newyorské skupiny Judson Dance Theatre, která je synonymem zrodu americké avantgardy šedesátých let, jež dala Americe a světu osobnosti jako Yvonne Rainer, Simone Forti, Steve Paxton, Twyla Tharp, David Gordon nebo Lucinda Childs. Spolu se svou generací vyznávala experimentální stránku umění, zejména ji lákalo vyříkat si to s gravitací. Mezi několika jejími experimenty na téma gravitace se proslavila zejména její site-specific Chůze po zdi (Walking on the Wall) z roku 1971. S pomocí lana tehdy kráčel vztyčený muž v pravém úhlu strmě dolů po zdi vysokého newyorského domu. Učila se u Anny Halprin, legendy amerického tanečního modernismu, improvizaci; improvizace jako tvorba s experimentálním koeficientem byla pro generaci Judson Church velmi důležitá. Byla společně se svou generací též ovlivněna Mercem Cunninghamem a jeho estetikou nahodilosti; jeho studio rovněž navštěvovala. 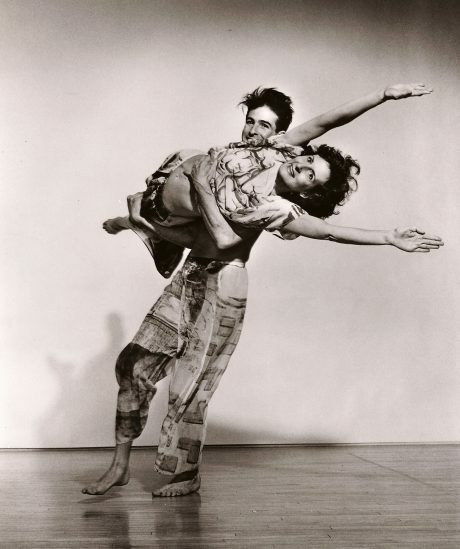 Svůj soubor Trisha Brown Dance Company založila v roce 1970 (původně pod názvem Grand Union). Její tanečníci vystupovali nejenom na střechách a zdech domů, ale i ve vodě, vleže na zemi, na vorech. Do tanečního jazyka zavedla každodenní pohyby a humor. Experimentální úkoly si kladla stále i ve svém zralém období, kdy budovala zároveň svůj precizní a členitý taneční jazyk. Toto období je významné spoluprací s Robertem Rauschenbergem, zejména v cyklu choreografií příznačně nazvaných Molecular Structure. Ve starším věku se obrátila k výtvarnému umění a produkovala obrazy navozené vlastním para-tanečním pohybem. V jednom ze svých tanečních experimentů nechala kdysi běhat tanečníka po tvaru osmičky – znamení nekonečna. Dnes už se choreografka ocitla sama na své nekonečné osmičce. Snad se jí tam bude líbit. 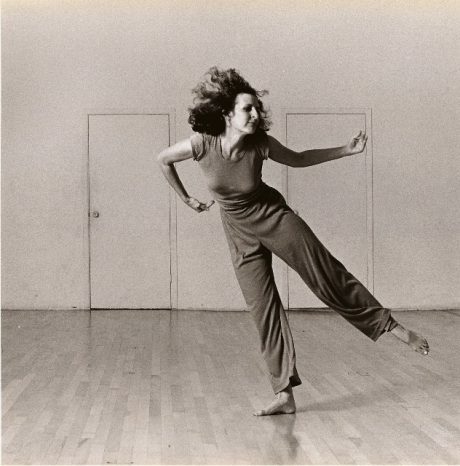 It is with great sorrow that we share the news that artist Trisha Brown (b. 1936) died on March 18th in San Antonio, Texas, after a lengthy illness. She is survived by her son, Adam Brown, his wife Erin, her four grandchildren – and by her brother Gordon Brown and sister Louisa Brown. 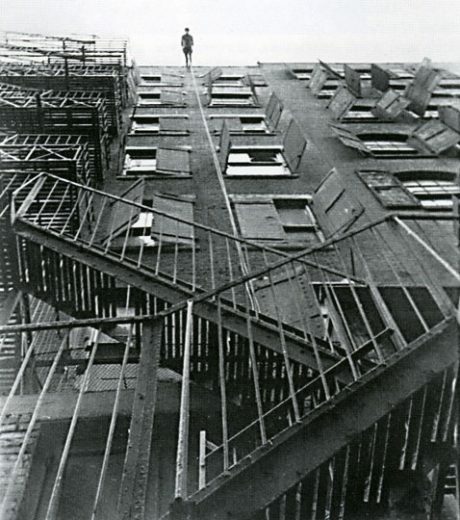 Trisha Brown’s husband, artist Burt Barr, died on November 7, 2016. One of the most acclaimed and influential choreographers and dancers of her time, Trisha’s groundbreaking work forever changed the landscape of art. From her roots in rural Aberdeen, Washington, her birthplace, Brown – a 1958 graduate of Mills College Dance Department – arrived in New York in 1961. A student of Anna Halprin, Brown participated in the choreographic composition workshops taught by Robert Dunn – from which Judson Dance Theater was born – greatly contributing to the fervent of interdisciplinary creativity that defined 1960s New York. Expanding the physical behaviors that qualified as dance, she discovered the extraordinary in the everyday, and brought tasks, rulegames, natural movement and improvisation into the making of choreography. 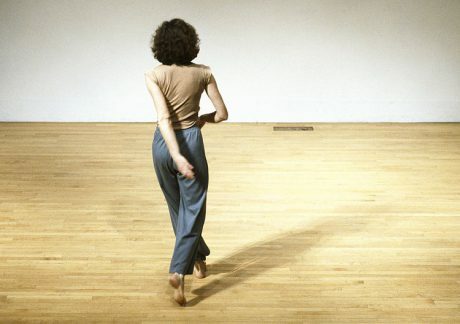 With the founding of the Trisha Brown Dance Company in 1970, Brown set off on her own distinctive path of artistic investigation and ceaseless experimentation, which extended for forty years. The creator of over 100 choreographies, six operas, and a graphic artist, whose drawings have earned recognition in numerous museum exhibitions and collections, Brown’s earliest works took impetus from the cityscape of downtown SoHo, where she was a pioneering settler. In the 1970s, as Brown strove to invent an original abstract movement language – one of her singular achievements – it was art galleries, museums and international exhibitions that provided her work its most important presentation context. 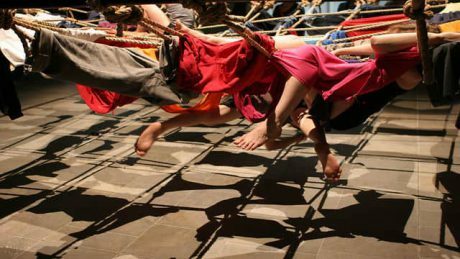 Indeed contemporary projects to introduce choreography to the museum setting are unthinkable apart from the exemplary model that Brown established. Brown’s movement vocabulary, and the new methods that she and her dancers adopted to train their bodies, remain one of her most pervasively impactful legacies within international dance practice. However for Brown, these techniques were a means to an end – the creation of choreographies, which unfolded in a serial fashion. In the “Equipment Dances” (1968-1971), she explored gravity, perception and urban space. Brown introduced new rigor and systematicity to the “Accumulations” (1971-1975), dances derived from mathematical sequences common to the work of minimal and conceptual artists of her generation. When Brown developed what she named ‘memorized improvisation’ she discovered the foundational approach that would inform her dance-making for the remainder of her career. First announced in her solo Watermotor (1978) – a dance immortalized in the film shot by Babette Mangolte – Brown’s extraordinary, idiosyncratic virtuosity as a dancer became the touchstone for her mature movement vocabulary. It also served to demonstrate that, among the many components of Brown’s genius, was her ability to forge, access and represent the inseparability of mind-body intelligences. Working in the studio with what was, until 1980, an all-female company, Brown became a master orchestrator of collaboration; she used her own body, language and images to elicit and catalyze her dancers’ improvisations, which she edited and structured as choreographies. A major turning point in Brown’s career occurred in 1979, when she transitioned from working in non-traditional and art world settings to assume the role of a choreographer working within the institutional framework associated with dancing – the proscenium stage. With this decision she embarked on a more expansive collaborative process, inviting her contemporaries to contribute visual presentations (sets and costumes) as well as sound scores to her choreography. In her initial work with Robert Rauschenberg on Glacial Decoy (1979) she established the parameters for their artistic dialogue at the outset, drawing inspiration from the theater’s geometry and sightlines. Going forward, in her work with artists Fujiko Nakaya, Donald Judd, Nancy Graves, Terry Winters and Elizabeth Murray, and composers Robert Ashley, Laurie Anderson, Peter Zummo, Alvin Curran, Salvatore Sciarrino, and Dave Douglas, Brown identified the collaborative process as a manifestation of interacting and intersecting artistic intentions – and she worked hand in glove with these artists to bring each new production to fruition. Brown’s best-loved work, the 1983 Set and Reset – a collaboration with Robert Rauschenberg and Laurie Anderson that premiered as part of the Brooklyn Academy of Music’s “Next Wave Festival” – brought Brown international fame. It culminated the group of dances known as the “Unstable Molecular Cycle,” (1980-1983), all based in memorized improvisation. In “The Valiant Cycle” (1987-1989) Brown pushed the limits of her dancers’ athleticism and stamina, elevating abstract dance to theatrical proportions in her masterpiece, Newark (Niweweorce) (1987) for which Donald Judd provided the sets, costumes and sound score. With the “Back to Zero Cycle” (1990-1994) Brown entered new terrain, investigating ‘unconscious’ movement, while also bringing new inflections to her longstanding concern with themes of visibility and invisibility, as well as visual deflection. Having performed in Lina Wertmuller’s 1987 production of Bizet’s Carmen, Brown – in the mid-1990s – set her sights on directing operas. In preparation she initiated the “Music Cycle,” in which she collaborated with what she described as two dead – i.e. timelessly alive – composers: Johann Sebastian Bach and Anton Webern. With new knowledge of polyphonic musical forms, she accepted the invitation of Bernard Foccroulle, director of Brussels famed La Monnaie opera house, to direct Monteverdi’s L’Orfeo in 1998 – the first of six operas that she would direct over the next fourteen years. In addition to engaging with this most venerable of interdisciplinary art forms, Brown created a single ballet, O Zlozony/O Composite (2004), at the behest of Brigitte Lefëvre, director of The Paris Opera Ballet – a project in which she worked with three of the company’s most esteemed Étoiles, and with artist Vija Celmins and composer Laurie Anderson. During the late 1990s and first decade of the 21st century, Brown worked simultaneously to create new choreographies working with contemporary artists and composers; directed operas; and further developed her work in the field of drawing. Brown’s official retirement from dancing came in 2008, when she performed in I Love My Robots, a collaboration with Kenjiro Okazaki and Laurie Anderson. Her final works include two operas by Jean-Philippe Rameau, Hippolyte et Aracie and Pygmalian (2010), produced together with William Chrystie and Les Arts Florissants – as well as the sole male duet that she created, entitled Rogues (2011). Her work, I’m going to toss my arms- if you catch then they’re yours (2011), was the last dance Brown created. From the 1970s to the present Trisha Brown’s drawings have been widely exhibited in international museums and art galleries – among them, at Yale University Art Gallery and the Leo Castelli Gallery (1974); the Venice Biennale (1980); The Fabric Workshop & Museum, Philadelphia (2003); White Box Gallery, London (2004); Documenta XII (2007); and The Walker Art Center (2008). In addition, her drawings are held in major museum collections, including the Reina Sofia Museum, Madrid, The Museum of Modern Art, New York, The Walker Art Center, Minneapolis, The Centre Georges Pompidou, Paris among others. Brown is represented by Sikkema Jenkins & Co. in New York. Today the Trisha Brown Dance Company continues to perpetuate Brown’s legacy through its Trisha Brown: In Plain Site initiative. Through it, the Company draws on Brown’s model for reinvigorating her choreography through its re-siting in relation to new contexts that include outdoor sites, and museum settings and collections. The Company is also involved in an ongoing process of reconstructing and remounting major works that Brown created for the proscenium stage between 1979 and 2011. 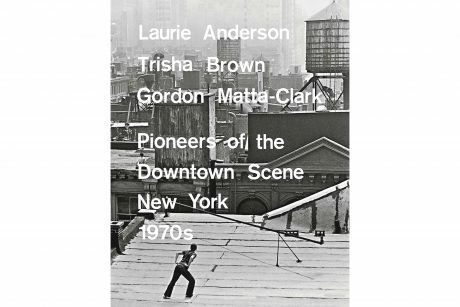 In addition, the Company continues its work to consolidate Trisha Brown’s artistic legacy through their restoration and organization of her vast archives of notebooks; correspondence; critical reviews; and an unprecedented moving image catalogue raisonné, which records her meticulous creative process over many decades. 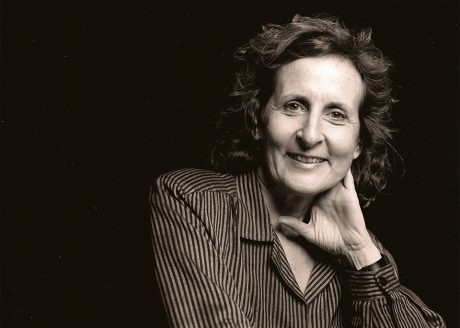 In her lifetime Trisha Brown was the recipient of nearly every award available to contemporary choreographers. The first woman to receive the coveted MacArthur ‘Genius’ Grant (in 1991), Brown was honored by five fellowships from the National Endowment for the Arts; two John Simon Guggenheim Fellowships; and Brandeis University’s Creative Arts Medal in Dance (1982). In 1988, she was named Chevalier dans l’Ordre des Arts et Lettres by the government of France. In January 2000, she was promoted to Officier and in 2004, she was again elevated, this time to the level of Commandeur. Brown was a 1994 recipient of the Samuel H. Scripps American Dance Festival Award and, at the invitation of President Bill Clinton, served on the National Council on the Arts from 1994 to 1997. In 1999, she received the New York State Governor’s Arts Award and, in 2003, was honored with the National Medal of Arts. She received the Capezio Ballet Makers Dance Foundation Award in 2010 and had the prestigious honor to serve as a Rolex Arts Initiative Mentor for 2010-11. She has received numerous honorary doctorates, is an Honorary Member of the American Academy of Arts and Letters, and was awarded the 2011 New York Dance and Performance ‘Bessie’ Lifetime Achievement Award. In 2011, Brown received the prestigious Dorothy and Lillian Gish Prize for making an “outstanding contribution to the beauty of the world and to mankind’s enjoyment and understanding of life.” In 2012, Brown became a United States Artists Simon Fellow. Having received three awards from the Foundation for Contemporary Arts (1971, 1974, and 1991), she was honored with the Foundation’s first Robert Rauschenberg Award in 2013. In 2013 she was honored with the BOMB Magazine Award and received the Honors Award given by Dance/USA in 2015.